Gujarat Hindu Society took part in the annual Raas Garba competition at Wythenshawe Forum Manchester organised by the Hindu Council of North on Saturday, 29th September 2018 at 7.00pm. 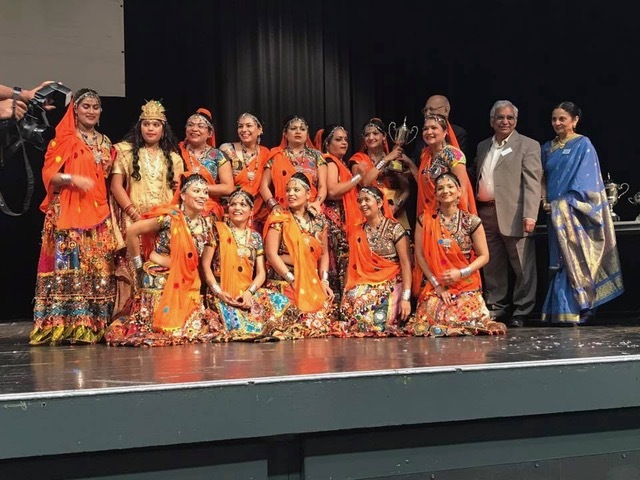 Over 6 towns from Northwest participated in the function which was a sellout.Gujarat Hindu Society girls and boys who participated in both Raas and Garba were the winners in Garba (clap dance) and runners up in Raas (stick dance). The society said that they are very proud of the achievement of the young people who participated in this cultural act and would like to congratulate Hindu Council of North to continue to promote the Indian cultural values in the Northwest. Ishwer Tailor, Vice President GHS said by encouraging young people to participate in such activities enriches the Indian culture and allows their development in understanding our ancestral values.